Hello Kitty was such a big hit when I was in elementary and high school. It was so popular back then that some of my classmates didn’t mind spending on collecting the expensive Hello Kitty items. I was never a fan of Hello Kitty. I never liked Pink. I don’t understand the idea of liking a cartoon character of a cat and then spend money on a very expensive collection. 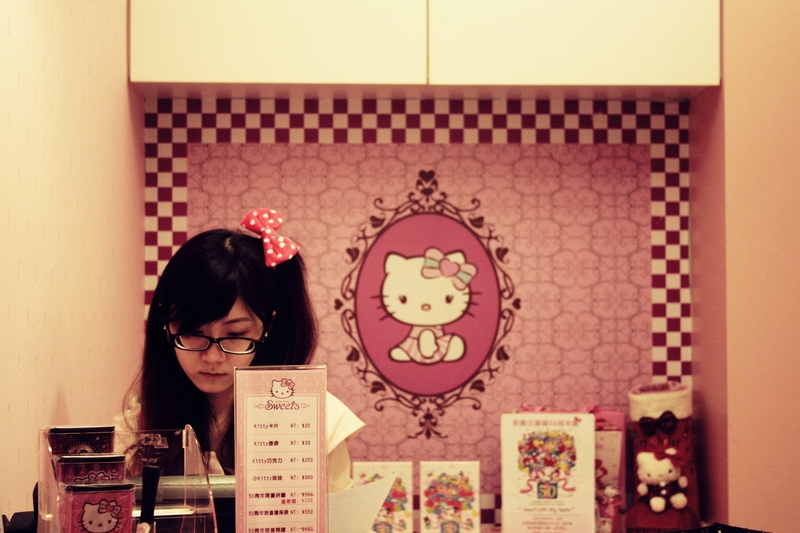 In Taiwan, they have a Hello Kitty Cafe. Everything is in pink. 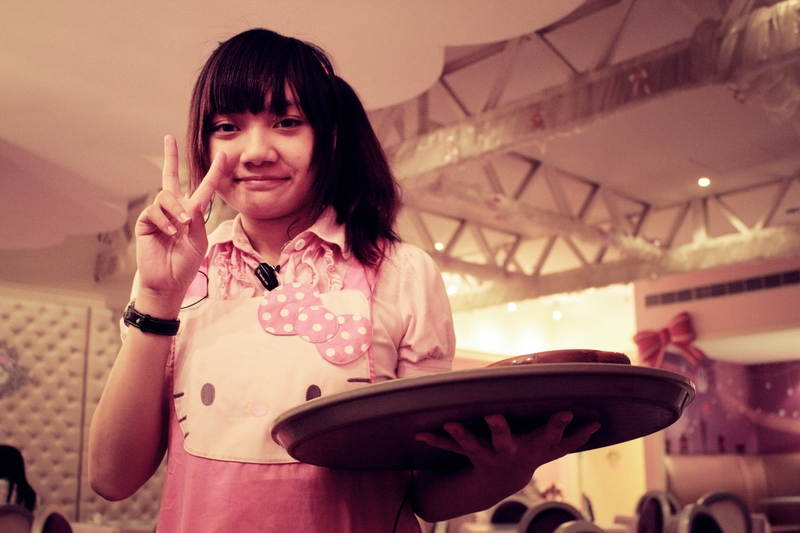 Servers wearing pink hello kitty aprons. Walls are with pink cushion or painted with pink paint. Tables in pink cover. 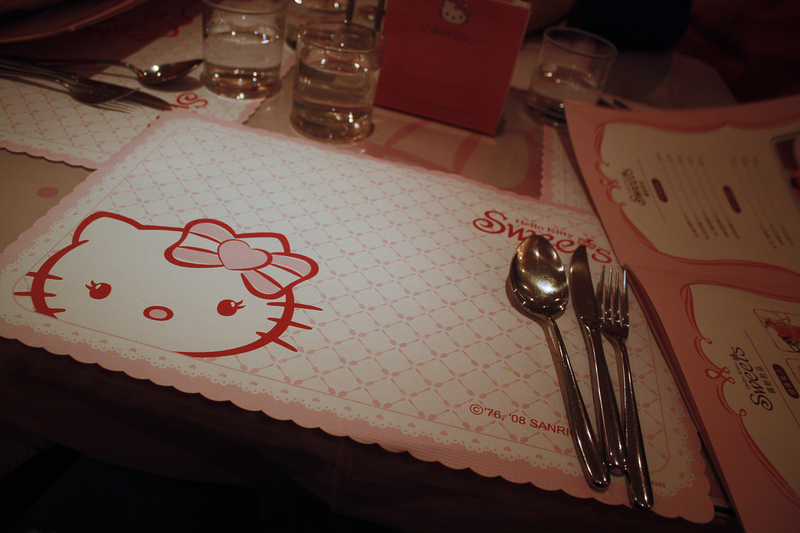 Place mats in white and pink Hello Kitty design. Menu is pink. And guess what, food and drinks have Hello Kitty on them. Guess you didn’t see that one coming? Ehk! It was fun. Pink is so ladylike. Hello Kitty is all over the place. 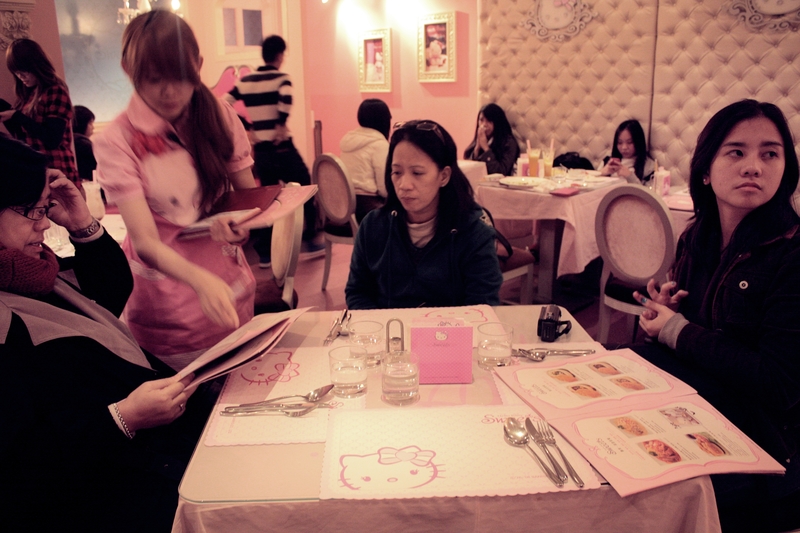 This cafe is so expensive but it was all for the experience of being in the world of Hello Kitty. 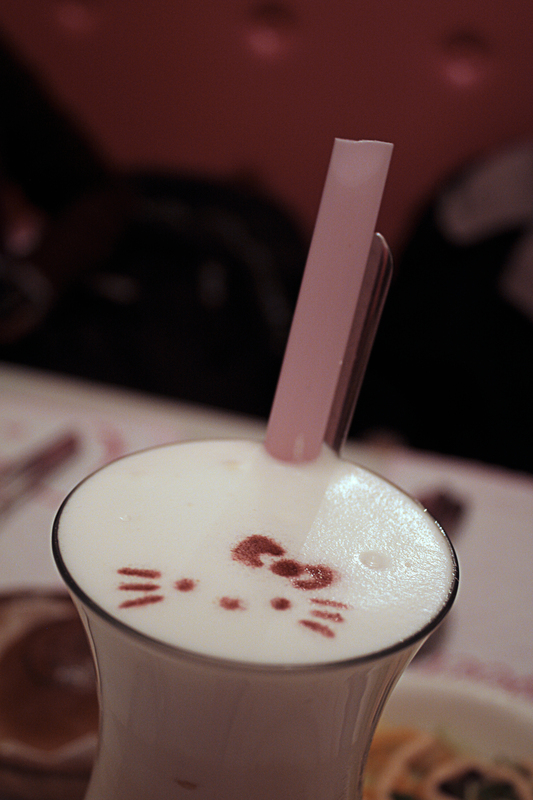 So I still recommend this cafe because they really went all the way for Hello Kitty.